Why All the Fuss About Gluten? - Dr. Andrew Dahlgren M.D. More people than ever are choosing to have a diet that is gluten-free. Information about gluten intolerance is becoming more available, and laboratory tests can now detect varying levels of gluten intolerance. For some people like those with celiac disease, going gluten-free is an absolute necessity. Others who are choosing gluten-free diets have been tested by their doctors and found to be gluten sensitive. Still other people have medical issues tied to gluten intolerance and have no idea of the connection. Gluten, which according to current medical literature, is potentially the cause of up to 55 different diseases, is the name given to the proteins that are contained in wheat and several other grains. Gluten is the adhesive holding breads together and helping them hold their shape. Gluten is found in many foods, but specifically in foods that are made from wheat, spelt, rye, barley, kamut and oats. You can find it in pizza crusts, bread, pasta, rolls, and wraps. It is also in most processed foods. According to a recently reported study in the Journal of the American Medical Association that involved almost 30,000 patients over a period of thirty-nine years, people with gluten sensitivity who have elevated gluten antibodies have a much higher risk of serious health problems leading to death such as cancer or heart disease. Another study found that the incidences of celiac disease (the extreme form of gluten sensitivity) have increased over 400 percent during the last 50 years. Celiac disease affects one out of every 100 people, and many people with it do not even know they have it. Two clinicians, James Braly and Ron Hoggan, have studied gluten sensitivity extensively. In their book, Dangerous Grains, they describe their findings from these studies that lead them to believe gluten sensitivity is the root cause of neurological problems, cancer, auto-immune conditions, psychiatric problems, and liver disease among other maladies that afflict people today. Dr. Harold Hin, a physician from Banbury in Oxfordshire, tends to agree with Braly and Hoggan. He did blood tests on the first 1,000 patients who came to him with symptoms such as anemia and fatigue and found that thirty of them tested positive for celiac disease. The Balltimore-based University of Maryland Center for Celiac Research replicated Hin’s findings, testing 8,199 children and adults, and finding that half of the people tested had celiac disease-associated symptoms. Additionally, of that half, one out of 40 of the children and one out 30 of the adults tested positive for celiac disease. More worrisome to the researchers was the fact that when the rest of the group of study volunteers who had no symptoms were tested, they found that one in 167 children under the age of 16 and one in 111 adults had celiac disease. 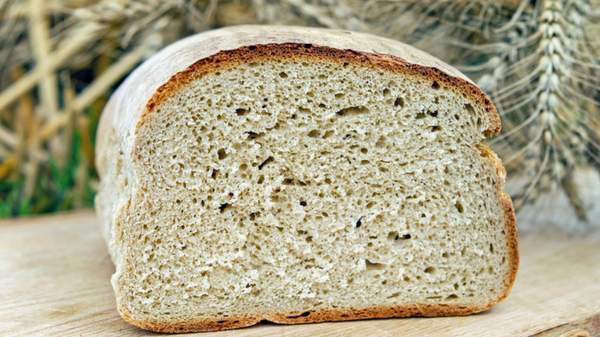 Gluten causes problems for those who are sensitive to it by damaging the gut wall, which causes problems with the body’s ability to absorb nutrients, especially calcium, Vitamin D, and iron. This leads to gut inflammation in approximately 80% of the people eating gluten. Of the people who are sensitive to gluten, 30% develop antibodies against the gluten that lead to an autoimmune response. Autoimmune diseases are diseases in which your immune system mistakenly attacks the heathy cells in your body. They include Lupus, Sjögren’s syndrome, Multiple sclerosis rheumatoid arthritis, thyroid disease, inflammatory bowel disease, and several more. It is a good idea to get tested for gluten intolerance, as there are varying levels of sensitivity to gluten, all of which can cause medical issues. Does going gluten-free mean you have to give up bread, cookies, and other things that are fun to eat? While gluten-free foods used to taste a bit like cardboard, there are now many manufacturers who have perfected great tasting gluten-free breads, cakes, cookies and crackers. Even Betty Crocker now has a gluten-free line of cake mixes. A gluten-free diet will incorporate a wide variety of grains such as corn meal, oats, buckwheat, teff, quinoa, millet, brown rice, buckwheat and amaranth, among others. Gluten-free foods need to be an adjunct to your diet rather than the mainstay. Just because a food source is gluten-free doesn’t mean it is a healthy dietary choice or can be consumed in abundance.